Not satisfied with simply getting free advertising from search engines like Google, media companies in one country after another have tried time after time to force Google to pay for all the visitors that Google sends to their websites. This idea has been tried in Germany, Belgium, and France, and it is currently being considered in Spain. So far none of the attempts have had much success (although the French media did squeeze a token payment out of Google), and today I learned that a newspaper cooperative in Germany is going to mount a second attempt to force Google to pay for the free advertising it gives them. Given Google's past patterns, this effort is almost certainly doomed to failure. But apparently that is not going to stop anyone from trying. German news publishers are escalating their fight to get a cut of the ad revenue that Google makes when it republishes parts of their news articles. The publishers’ society VG Media has started legal proceedings against Google after the search-engine giant refused to negotiate with the collecting society and publicly declared it would not pay such a compensation, VG Media said Wednesday. Twelve German online news publishers took a 50 percent stake in VG Media last February with the aim of beginning to start collecting compensation from search engines. They want some of the advertising revenue that search engines and aggregators generate by republishing parts of their content. The publishers are basing their demand on a law which went into effect in Germany in August 2013. That law, which was enacted at the demand of German publishers, requires search engines (as well as other websites, but that's not important here) to pay a fee for the use of snippets of text copied from other sites. The law came about because the publishers were eying the revenue that Google earned from putting ads next to the search results - some of which led to the publishers. Even though the publishers were already benefiting from the search traffic Google was sending their way, the publishers wanted to also be paid for the use of their content. The law in question states that publishers have the exclusive right to commercialize their products or parts thereof, except in the case of single words or very small text snippets. The publishers are saying that this law gives them the right to demand payment from Google. I'm not convinced they have a legal leg to stand on, and even if they do I still don't think this ploy will work. For one thing, this law took effect in August 2013. What are the chances that Google isn't already complying with the law? I would rate it as slim to none, leaving the publishers to argue the relatively weak argument that Google's snippets are too large. Even if that argument passes muster in court, it's not clear that the publishers have a case in the first place; they may have waved their rights. In anticipation of that law, Google Germany changed their ToS in June 2013. News websites had to agree to be listed in Google News for free, otherwise Google would remove them from the search results. So basically all of the news sites in Germany which are listed in Google already gave Google permission to list them - for free. At this point I have to say that I don't see this case going anywhere, but even if the publishers win they will still lose. 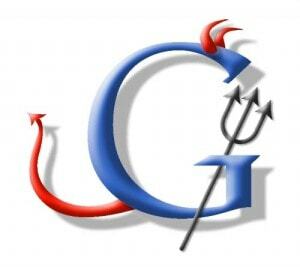 If Google loses this case, it will most likely respond by delisting the plaintiffs' websites. In fact, Google might even be explicitly ordered to do so; that happened in Belgium in 2011. In winning this lawsuit, publishers are still going to lose out on the future free advertising they get from Google. While it might not hurt all of the publishers equally, it still strikes me as being pound wise and penny foolish. I am, actually. I see my presence in Google search results as advertising I don’t have to pay for. LOL And don’t call me surely. Google is how I found this site. If not for that, I wouldn’t be here. No idea how Nate benefits from me reading his blog, but that’s a different topic. It’s true, and if you try to see things from their view point, it makes some kind of twisted sense. With paid advertising, you basically get what you paid for. Put in lots of money, without a real product and you’ll still get lots of customers. With free advertising it means the only criteria is the content, the product itself. So, established media outlets will compete and actually lose against bloggers, for instance. Here’s the other side though. They COULD pay for advertisement, after all that is Google’s business, but to stay ahead of others using the free ads they’d have to do it constantly.